Adversary Holster IWB (A-3) is made for all small weapons and intended for IWB (inside the waistband) carry. 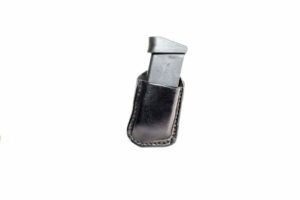 This holster comes with a heavy duty powder-coated black single holster clip. One can upgrade the holster attachment to our Ulticlip, this will able you to clip the holster onto any material (boot, pants, etc). 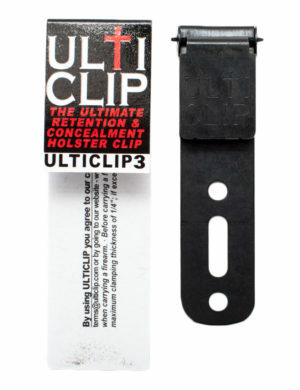 The Ulticlip helps for better concealment of the clip because the belt will go over the clip and will not show.The Adversary holster comes with a double layered reinforced sweat shield/body shield, this helps for long term use of the holster. 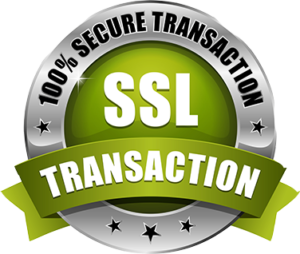 This enables the weapon to NOT touch the body and your body from touching the weapon. No more sharp edges rubbing up against the body. And no more “Wohoo” because the weapon is cold and touching you. Natural body oils (sweat) is very acid and can cause internal rusting inside of the slide of hammer of the weapon. Keep in mind if your weapon is stainless steel, sometimes the internal parts of the weapon is not stainless steel. MTR Custom Leather does not stop there with the quality, MTR ensures that the entire barrel is completely covered, to prevent any damage of the barrel and sight. Also helps with the draw, one does not have to worry about the sight catching when drawing. Quality is a must, therefore, we use heavy duty nylon stitching, to ensure long term durability of the holster. One can add double stitching to the holster, this will increase the retention of the weapon in the holster. Check out the fine details on the holster. We use 20 tons of pressure to acquire the best retention on the weapon while seated into the holster. The Adversary is hand molded to each weapon to ensure the fine details in the holster to fit nice tight like a glove. 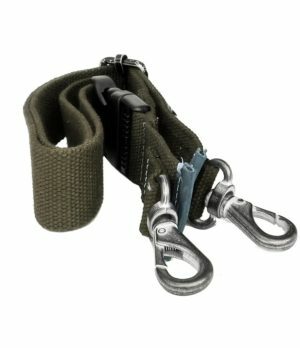 The holster clips can fit up to 1-1/2 gunbelt(2 layer) or 1-3/4 regular belt (1 layer).This is the newest and affordable holster on the market. Don’t forget about the upgrade on the holster clips. The new UltiClip can be placed in the Adversary A-3 holster. The ulitclip is more like a suspender clamp, that clips directly onto the pants not the belt. This way you wear the holster without if wanted. This is great for jogging pants, boots, bed side, vehicle, etc.